Let me just get it out of the way: I live in Seattle, and I don’t drink coffee. No, that’s not illegal; it’s just unusual. Don’t get the wrong idea, though: I am not caffeine-averse. Quite the contrary. My stimulant of choice is Diet Dr Pepper (or, as we call it around here, DDP). Unlike Diet Dr Pepper, Dr Pepper Ten has calories and sugar, and rather than the dainty tan bubbles on the diet can, Ten will be wrapped in gunmetal grey packaging. Say, guys? Did you happen to notice that Dr Pepper has images of the seams of a football on the can, except when it has action figures from movies like “X-Men”? Not so very dainty or girly. Plus, I believe gunmetal grey was all over the Paris runways this season, so you’d better watch out for that high-fashion stigma. Of course my friends and I weren’t the only ones to take notice and even umbrage. There have been a number of articles dissecting the ad campaign as a reflection of the “mancession”, or as an indicator that the role of men in our society is under attack as never before: perhaps “corporate America (or its ad agencies) are attending to a male cry for help they’ve never heard before.” And as always in the world of marketing, there are analyses of whether this campaign will succeed better than Coke’s and Pepsi’s efforts to sell their products to men. Indeed, in the cut-throat world of soft drink commerce that is an important question. After I received the articles from a fifth friend wanting to know what I, as an avowed feminist and advocate for women’s rights, and as a dedicated (not to say addicted) drinker of Diet Dr Pepper, thought of this, I sat down to try to figure it out. Was I offended by the stereotyping of men as avoiding movies with romance, or women not liking or understanding contact sports? 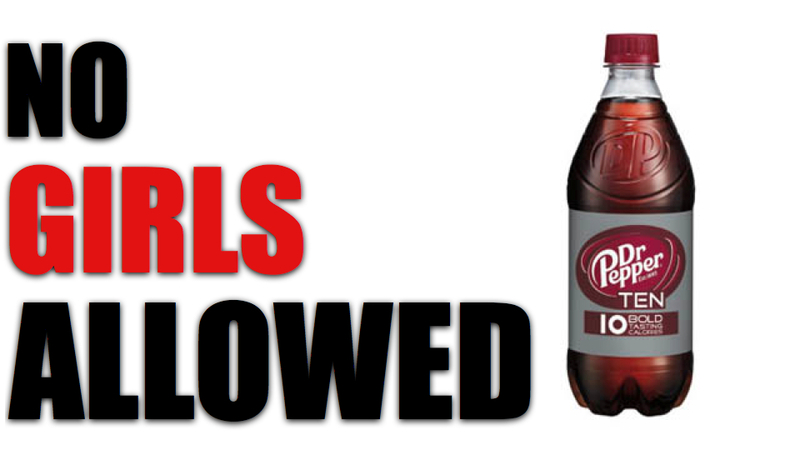 Or, as Dr Pepper asserts in its press releases, was I simply amused, like so many other women? I am generally annoyed (if not enraged) by advertising campaigns that feed into sexist and racist stereotypes (please don’t tell me there’s a racism or immigrant element to this one; my brain will explode), so it seemed worth pondering. Does this sort of thing harm women (or men, which is equally possible given the level of discourse)? Were all these articles and objections just political correctness gone too far? Are we reinforcing the notion that feminists and human rights activists have no sense of humor? In the end, here’s the deal, at least from my perspective: It’s a SOFT DRINK, people. Consume it or don’t, but please, spend your energy on figuring out how to save our constitutional democracy, or helping Occupy Wall Street take its energy into policy action, or getting involved to stop global climate change, or fighting against real oppression of women. Unless you live in a hole, you likely know that the U.S. now imprisons more people than any other nation. Unless you live in that same hole, you likely know that poverty is on the rise and that social inequity is at its greatest ever. As “Occupy Wall Street” has shown us, more and more people are realizing that the U.S. economic system is just plain unjust. With this information, how many of us are willing to take the logical steps to realize that the rise in our prison population is not due to increased violence, that our communities are not actually safer, and instead, that our nation has become complacent with criminalizing poverty? National stories have highlighted the most aggressive prosecutions against black mothers (black women along with Latina women, are twice as likely to face poverty as white women due to various social factors). Recently, Raquel Nelson was found guilty by an all white jury for vehicular manslaughter when her son was killed by a hit-and-run drunk driver—all she did was walk across the street. Kelley Williams-Bolar, and homeless mother Tonya McDowell, were each arrested for using false addresses to enroll their children in better schools. These prosecutions continue largely in the same vein as our racialized war on drugs that disproportionately prosecutes non-whites for their drug use and/or addiction. You may be unaware that women comprise the fastest growing population in prison. In Washington state, the rate of incarceration for women tripled from 1995-2005. It is estimated that 85% of these women are mothers. 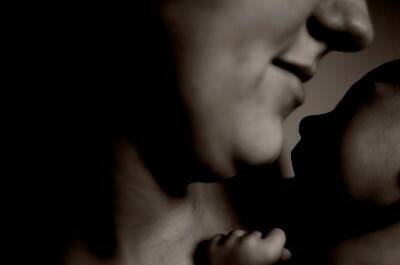 At the time of confinement, over half of these mothers were the primary caregivers of children under 18 years old. Most often, when relative placements are not available, children end up in foster care. Because of existing child welfare laws and poor access to legal information and representation, serving one’s sentence can mean permanently losing her children. Federal laws require states to terminate the parent-child relationship when a child has been in foster care for at least 15 months. Legal Voice has heard from women who have no idea what their rights are and who have not been afforded the right to be present at the hearing where their children have been taken away. Many pregnant and parenting women in prison—most of whom are non-violent first-time offenders serving short sentences—are being separated from their children unnecessarily and involuntarily. Further troubling are statistics that reveal pathways to incarceration for these women that are complex, and often rooted in issues of sexual and physical violence. Instead of being treated for trauma, depression, addiction and other injuries of violence, these women have been displaced into the criminal justice system. Sadly, with all of this information, it appears that we have come down with a case of cognitive dissonance. Locking up less people would require taking true steps towards alleviating many social ills: lack of employment, housing, food, education, and healthcare (including mental health services). These ills are much easier to stomach if we place the blame on individuals. Once they are locked up, we are then excused for our behavior of neglect and disregard for the lives of incarcerated individuals. As reproductive rights advocates striving for true reproductive freedom, we must challenge our nation’s devaluation of motherhood for incarcerated women, who are predominately poor and/or women of color. As an Equal Justice Works fellow at Legal Voice, my aim is to raise awareness around incarcerated mother’s issues, create access to legal information, and advocate for child welfare laws and alternatives to sentencing that better address the needs of these vulnerable families. We now have significant evidence that maintaining contact with one’s incarcerated parent improves a child’s emotional response to their parent’s incarceration and supports parent-child attachment. It also lowers the likelihood of recidivism among incarcerated parents. I hope you will join me by learning more about and sharing this issue, so that we can help work to keep families together, and in turn, help re-build our communities.